Our mission is to develop long-term relationships with our clients by providing the highest quality environmental and geotechnical drilling services throughout Western Canada. We are committed to providing exceptional customer service as well as the safest, most efficient soil drilling equipment. 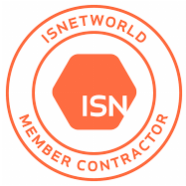 ​Core Drilling is a proud member of ISNetworld, Avetta (formerly PICS) and Comply Works and adheres to the highest industry standards for safety. With our Certificate of Recognition (COR) issued by Alberta's Partnerships in Injury Reduction, we have all the necessary training and certifications to be successful on site. Core Drilling holds WCB accounts in Alberta, Saskatchewan and British Columbia. Damian Brake is the president of Core Drilling Corp. As the founder of the company in 2001, Damian has extensive experience working in Western Canada's environmental and geotechnical drilling service industry. In addition to his expertise designing and operating drilling equipment, he has worked as an environmental consultant, conducting and reporting Phase I, II, and III Environmental Site Assessments for the upstream oil and gas reclamation programs. Damian is a Professional Agrologist recognized by the Alberta Institute of Agrologists, and holds a Bachelor of Science Degree from the University of Calgary. Josh Yarker has been with Core Drilling since 2006. As general manager, Josh is responsible for the coordination of field operations, corporate safety compliance and human resource management. He also manages customer relations and plays an integral role in business development. With extensive experience in industrial management, Josh ensures all drilling work is conducted in a safe and efficient manner to ensure customer projects are completed on-time and on-budget. Josh holds a Bachelor of Commerce degree from the University of Calgary. Alan MacLean has been with Core Drilling since 2012. As operations manager, Alan is responsible for the coordination of field operations. He manages customer relations, equipment maintenance, and day-to-day logistics for our growing company. With extensive experience in drilling operations, Alan ensures all drilling equipment leaves our shop inspected and safe to operate on customer projects. Brent is an experienced driller and has been an owner operator in the environmental and geotechnical drilling business for 15 years. His experience is an asset for our Grande Prairie operation and he is involved in the field level coordination for our northern projects. Candace has been in the industry for 6 years in multiple business development roles. Over the years she has gained knowledge in all aspects of the industry from pre-construction to end-of-life and is responsible for driving all sales and marketing initiatives for Core. Jason is responsible for the administrative tasks at Core Drilling that are paramount to the success of the company. He is actively involved in several processes involving safety, accounting and finances. All employees of Core Drilling Corp. have completed required safety and technical training applicable to their roles.